Yes, yes, yes, I am finally telling you my thoughts on the latest products from HBC! I've had them for a couple of months now, and it's high time I told you what I think about them. 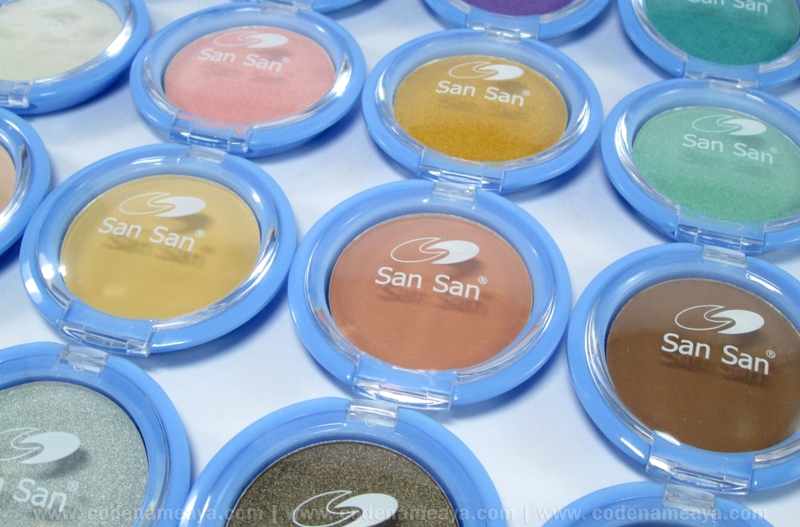 These Create Your Own single eyeshadows, which are the newest products from HBC-exclusive makeup brand San San, are available in 20 shades and retail for only P50 per pan! So affordable, right? I thought the 70-peso single eyeshadows I bought early this year were already so inexpensive. Turns out there are even more affordable ones! Now, I know what you're thinking. Why 'Create Your Own?' Does that mean I can make my own eyeshadows from scratch? Well, no. 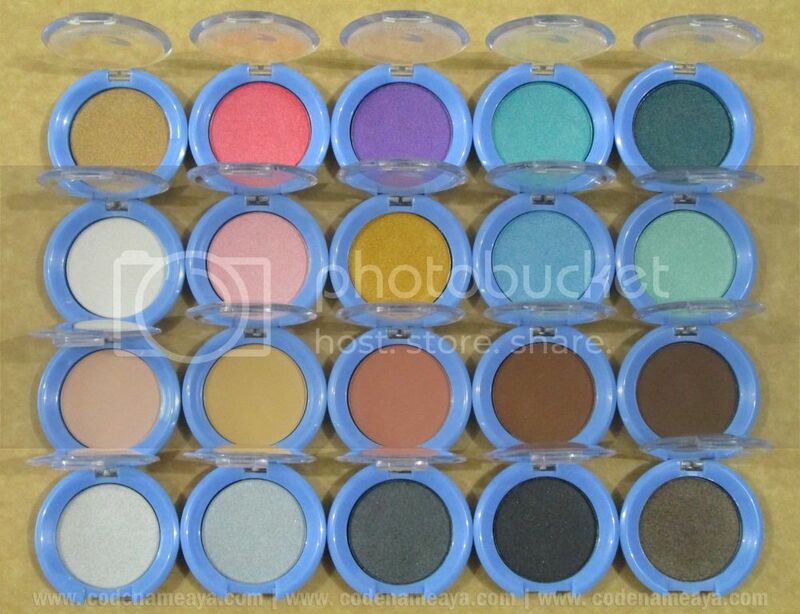 Think of it as 'creating your own' eyeshadow sets from this selection of single eyeshadows. 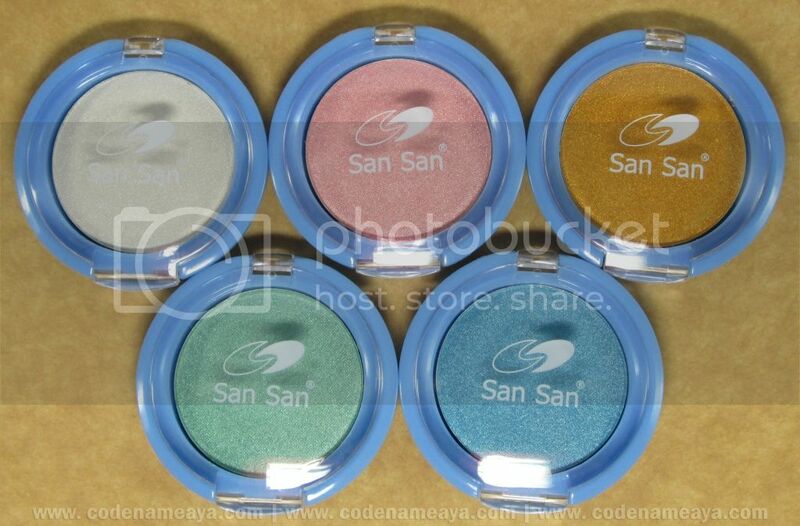 Because of the price, these single eyeshadows are not hard to collect. 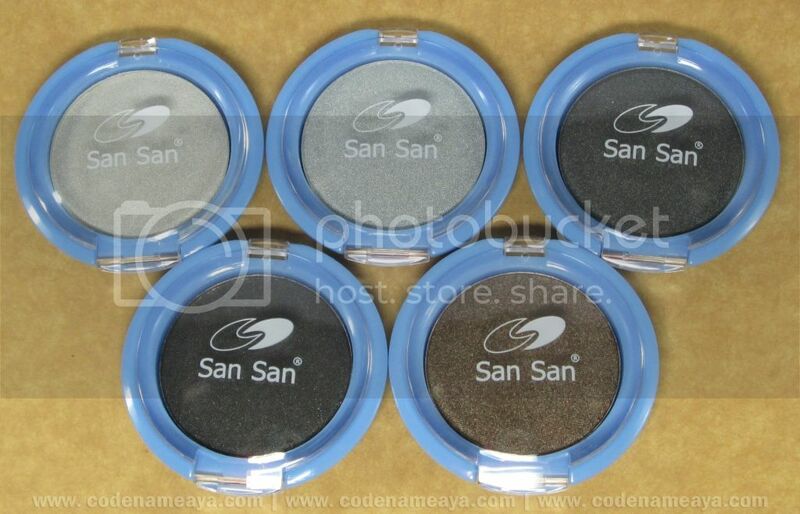 The packaging is just really simple - classic San San-blue housing with clear covers. 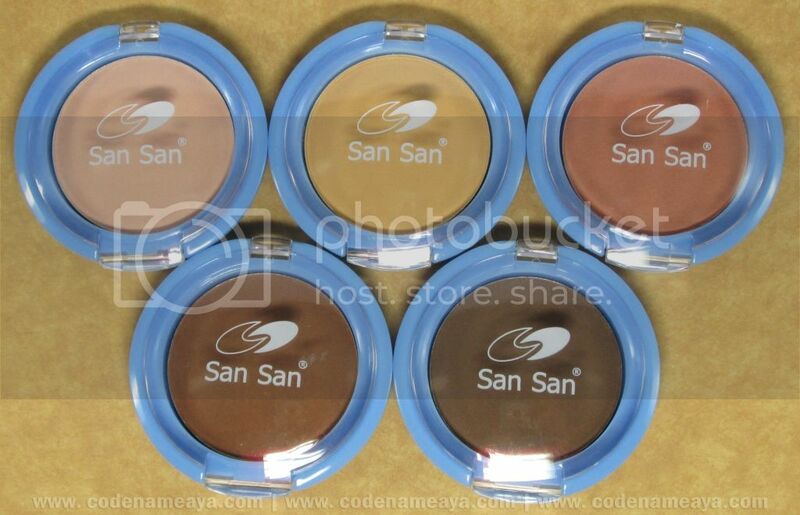 It's a smaller version of the San San concealer's packaging. The amount of product in one pan isn't indicated on the label, but these pans are quite large - larger than the single eyeshadows I've seen from other brands. As I've mentioned, there are 20 shades available. Among all 20, only five are matte. The rest have satin and frosty finishes. The shades are grouped into four - Jewel Colours, Candy Pastels, Earth Tones and Smokey Hues - to give us an idea of how we can combine the shades to create different makeup looks. But of course, you can still choose to purchase these shades individually. Let's take a look at each color group. This group is composed of rich jewel colors. Purple Amethyst and Emerald Green have a satin finish, and the rest are more frosty. Turquoise Blue and Emerald Green are really soft to touch. Yellow Topaz is not as soft and pigmented as its groupmates, which have pretty impressive pigmentation, but it's not too bad. Pigmentation- and texture-wise, this group is my favorite among the four. This group is composed of highly frosty pastel shades. 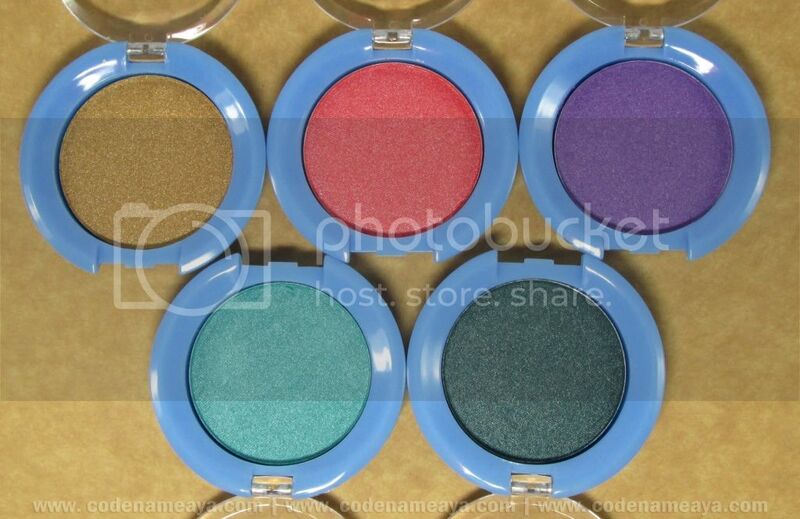 Green Mints and Blueberry Pop are the softest and most pigmented in this group. Vanilla Bean and Golden Chiffon have a bit harder texture. This group is composed of matte neutrals. These shades are also the only matte ones among all 20 available. All except for Warm Copper Fire are quite soft to touch, with Natural Air Sienna and Soft Sun Glow having the softest and most buttery texture. Warm Copper Fire has the least soft texture in the bunch, so I need to press the powder harder with my finger or a brush to get a decent color pay-off. 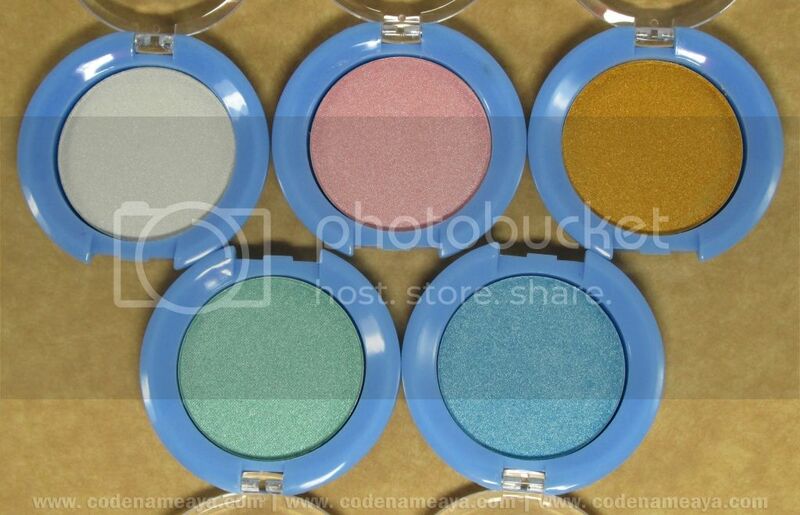 These eyeshadows also are not chalky like other matte ones I've tried. 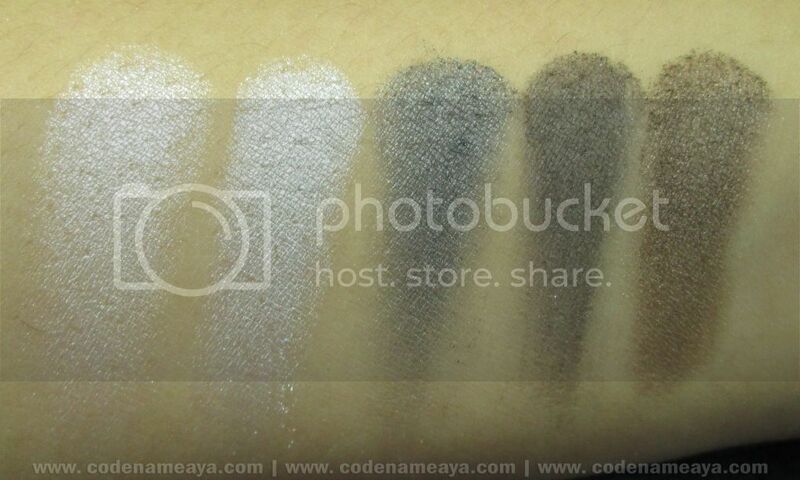 This group is composed of silvers and dark shades for a basic smokey eye. 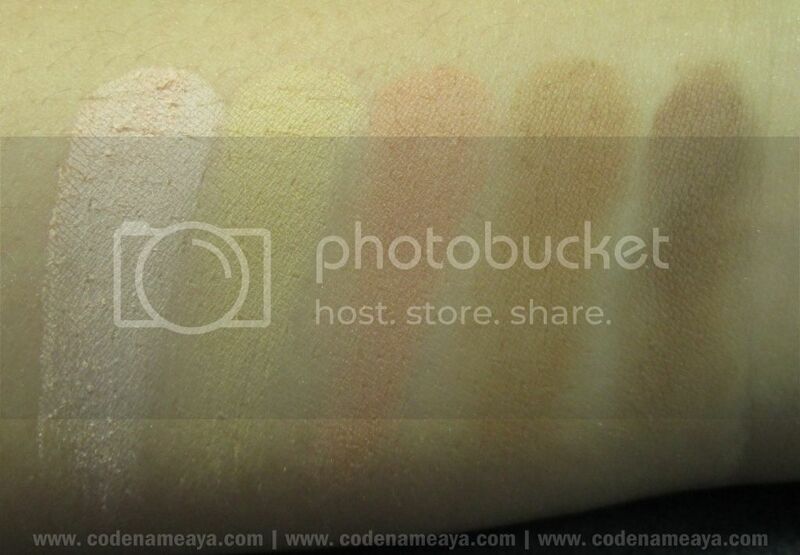 The dark colors have soft texture and great pigmentation. White Frost appears almost exactly like Vanilla Bean on my skin, but despite it being the least pigmented and soft in this group, I still prefer it over Vanilla Bean. My favorites and must-haves from this entire collection so far are the following. These are the shades that I use most often. 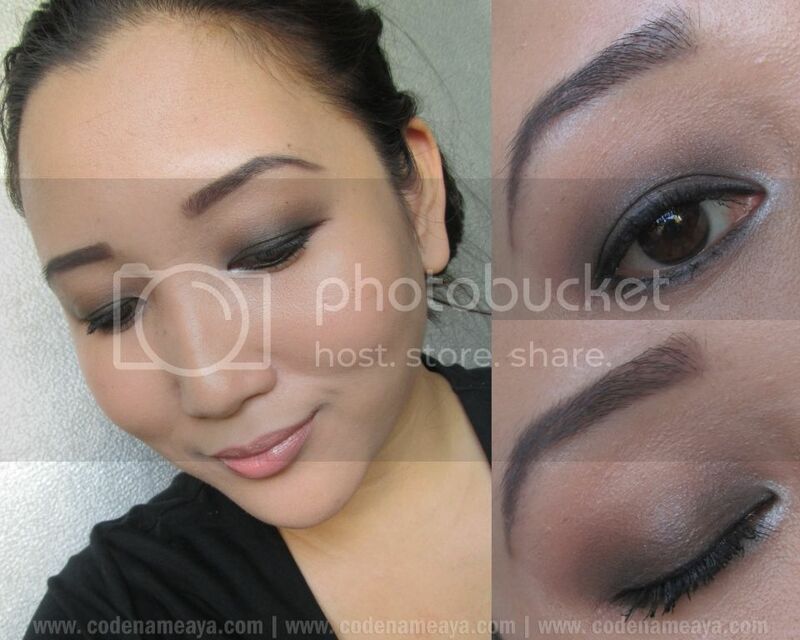 Deep Earth Brown - I believe that a matte brown eyeshadow is a must-have. It's one of those basic shades that you have to have in your eyeshadow stash. It's great for intensifying the contours of my eyes, and it works great for basic brown-black smokey eyes as well. I sometimes even use this to contour or warm up my cheekbones. Depending on your hair color, I believe this could be a nice eyebrow powder as well. This is the shade I reach out for the most among all 20. Natural Air Sienna and Soft Sun Glow - I love these shades because of the really soft, buttery texture! 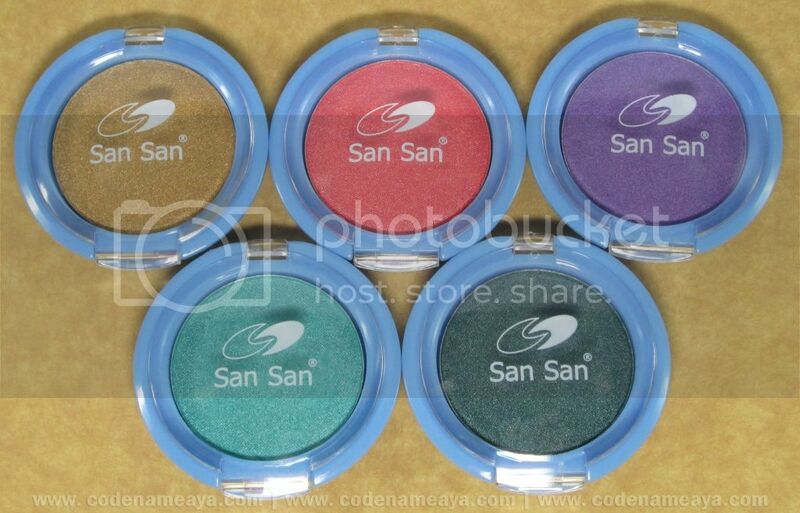 They are too light to actually show up on my lids, but they are great blending colors. 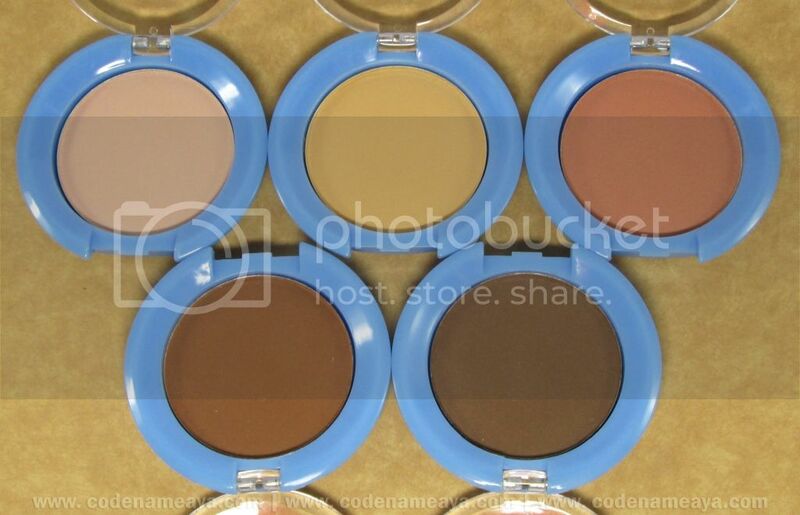 I use them to blend away harsh edges or if I need to tone down a darker shade a bit. Yellow Topaz - A muted gold shade is also a must-have for me. It's great for everyday looks because it's more on the muted side. This shade also reminds me of Urban Decay's Half-Baked. 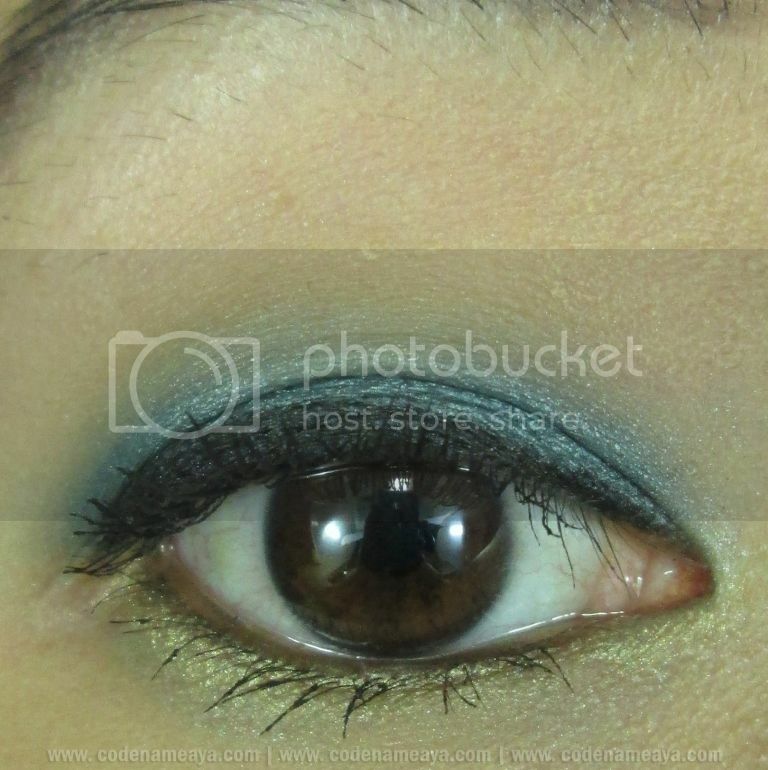 Emerald Green - I don't usually wear colorful eye makeup, but this shade is just so lovely. I love the really soft texture and great pigmentation! Charcoal Brown - This is one unique shade. It's like a brown version of the gunmetal color. 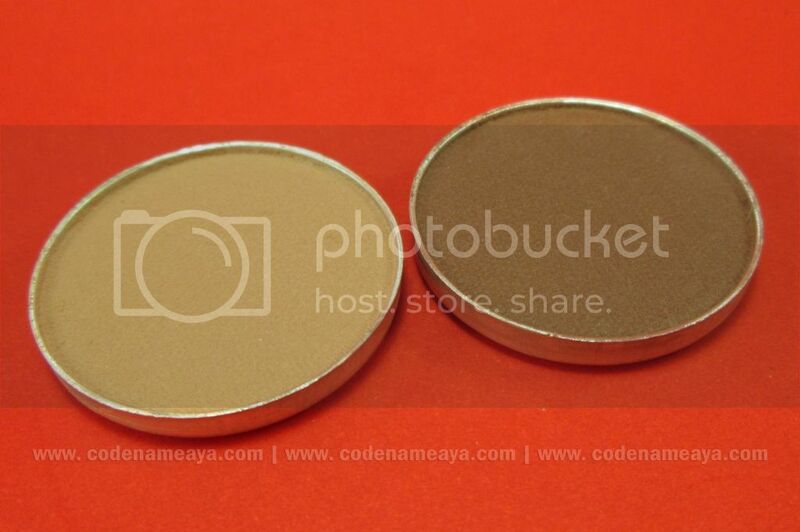 I like using this metallic brown to spice up my neutral and smokey looks. My least favorite shades are Warm Copper Brown and Vanilla Bean because of their 'harder' texture. Now let me tell you what I like and don't like about these eyeshadows. Most of the shades are soft to touch and easy to apply - There are only a few whose texture I didn't like very much like Warm Copper Fire and Vanilla Bean. Overall decent to great pigmentation - There are a couple of shades that I wish were more pigmented, though. Good staying power, especially with primer - I'm currently using the ELF Eyelid Primer, and these eyeshadows stay put on my oily monolids for a good number of hours. Powder doesn't crack easily - I dropped one the other day, and it didn't crack nor show any signs of cracking. I can carry this around in my makeup bag without worrying about it cracking. Came in their own housing unlike some single eyeshadows that only come in pans (like these). Price - The most affordable eyeshadows I've seen at P50 only per pan! Widely available - Available in HBC outlets. Inconsistency in texture and pigmentation - There are some really pigmented and soft shades, but there are also a few shades whose texture is on the harder side, so you need to swipe your brush several times on the powder to pickup a decent amount of product. Overall, I think that for the price, these San San single eyeshadows are pretty good! 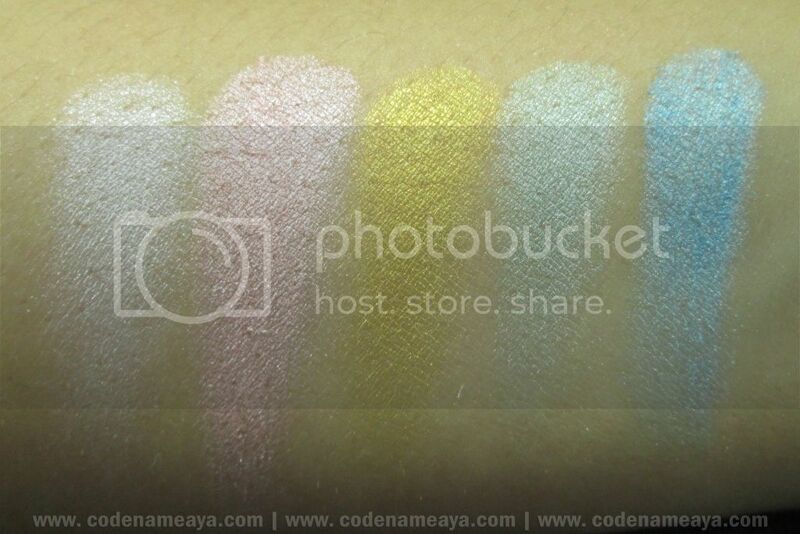 I just wish all the shades had the soft, buttery texture and great pigmentation that the other colors had. Oh, and I wish there were more matte shades too, like a rich, matte black, for example. 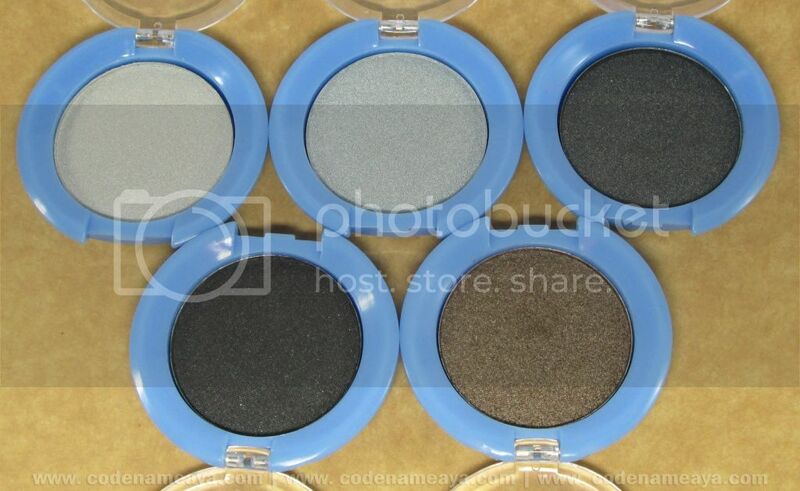 If you're looking to build a basic eyeshadow set, you can start with Natural Air Sienna, White Frost, Silver Ash, Yellow Topaz, Deep Earth Brown and Blackground. Have you tried these eyeshadows? Let me know your thoughts on them by commenting below! I also love eye shadows but I never buy single eye shadows. I think buying those one looks sooo cute all together. 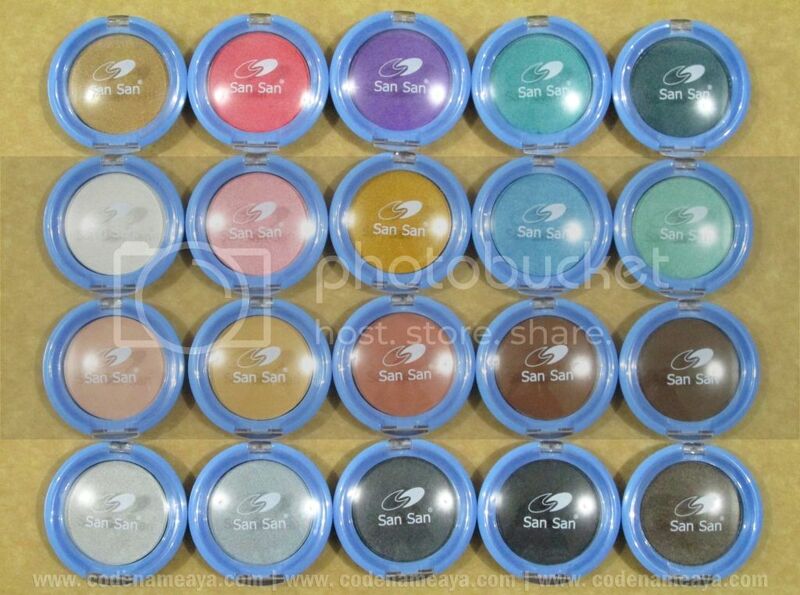 I'd read a lot of good reviews about san-san eyeshadows. I better grab mine ^^. i super love the colors from the candy pastel group! 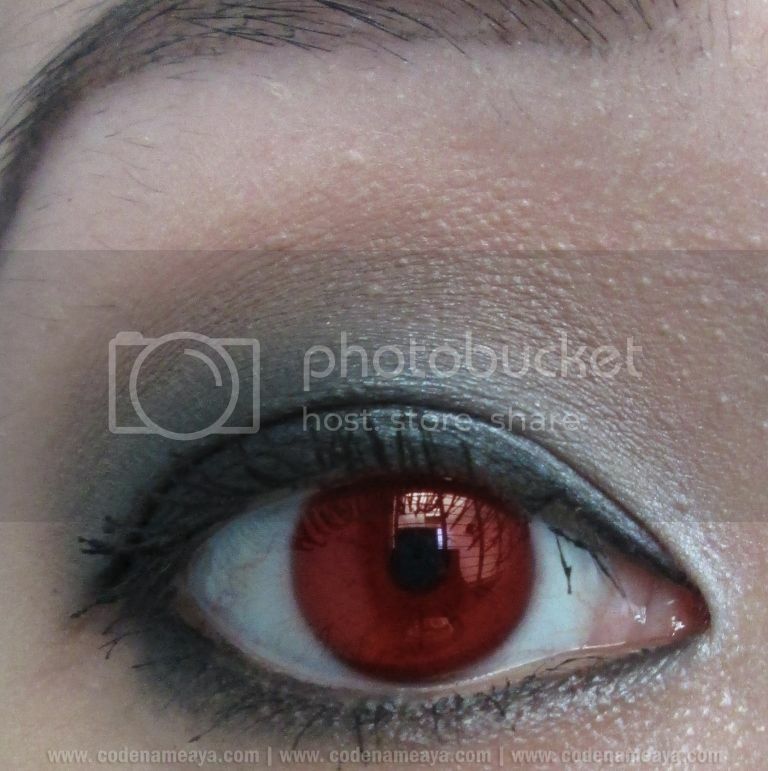 :D too bad some aren't pigmented enough like the rest. anyway great review aya! I listed my faves and must-haves above, but here they are again - Deep Earth Brown, Natural Air Sienna, Soft Sun Glow, Yellow Topaz, Emerald Green, Charcoal Brown. Wow, not bad for the price!! Although some need primer siguro to show up more, it's not too chalky for Php50! I love the matte and jewel tones. I also like the fact that it's not going to be hard to buy them since they're just Php50 each! And I bought Deep Earth Brown today! Will try it tomorrow :) Still torn between Golden Chiffon and Yellow Topaz. Deep Earth Brown is perfect for the eyebrows! Right? :) Yes, a primer would be a great help! Aww I hope you can get your hands on them soon! Yes, so affordable, right?! :) I agree! I wish for more matte ones too because I don't like my eye makeup to frosty or shimmery. I prefer Yellow Topaz over Golden Chiffon because it's more muted. But both are pretty gold shades! I really must get my hands on these! The frosted shadows look fun! ♥ Great post! By the way, eto na lahat ng swatch ng available shades. I should head on to HBC and see if they still have this. I'd probably get the "Smokey Hues". 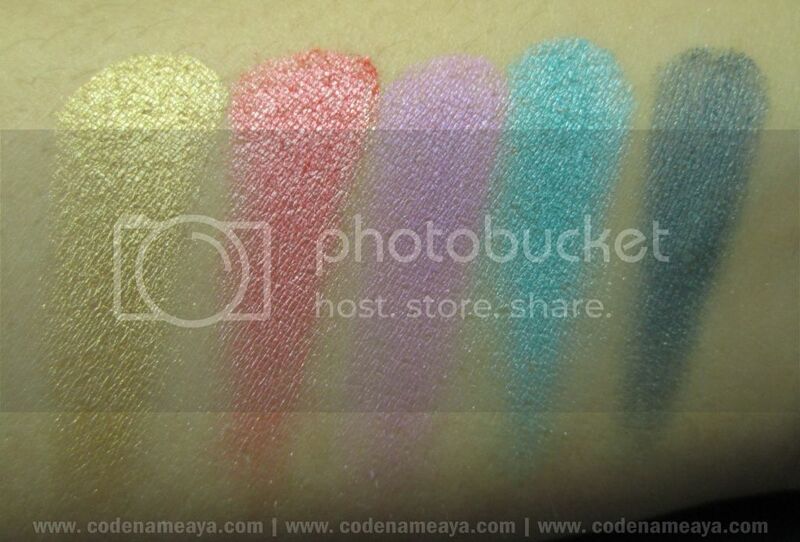 Yes, those colors are indeed pigmented and soft :D Glad you're enjoying them too! Yes, naexcite ako talaga when I saw these. Haha! Right?! I'm loving the jewel shades so much!